Last month, the DailyNews reported that the Prime Minister of Tanzania has announced government plans to create a digital library which would contain all student textbooks and other paper-based materials (for the article, see: http://www.dailynews.co.tz/index.php/local-news/22592-pm-educational-materials-to-go-digital). It is unclear when these materials will be publically available or even if work has begun on the project, though it will probably be several years before such a program would be fully operationally. As computers, tablets, and smart phones become more widespread, a digital library could become very useful. Students would be able to access their course materials without having to pay for them. Also, having access to a complete library would allow students to view materials that otherwise would have been unavailable due to the scarcity of textbooks at many schools and the phasing out of old textbooks. While the project has many potential benefits, there are several issues that should be addressed. First, large segments of the population do not have access to the resources necessary for the effective use of a digital library. Many schools do not have access to the technological aids (computers, smart phones, internet connections) required to access a digital repository; some of these schools do not even have electricity. Such schools tend to serve students who are poorer and who are more likely to be located in rural areas; these students tend not to have access to the requisite technological aids, either. If nothing is done to improve access to such aids, a digital library might increase the educational divide between the wealthy and the poor. TETEA maintains that technology can be beneficial and that a resource such as a digital library would beneficial; this belief led us to develop our own resource library at maktaba.tetea.org, where Tanzanian students and teachers can obtain study guides and past national examinations. That said, it is important that one remains cognizant of the potential pitfalls of such initiatives and work to mitigate any negative consequences. 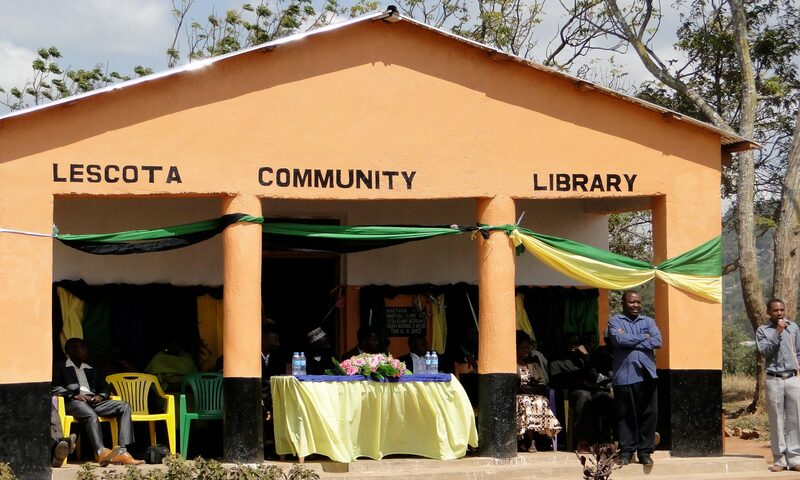 TETEA, for example, operates a rural library which contains all of the materials available through the online resource library, providing access to students who are unable to use the internet. The Center for Longitudinal Studies recently posted an article describing an Institute of Education study that found that children who regularly read for pleasure perform better in the classroom. We’re hoping that holds true for the children visiting the MACOBICA Library in Maguu. While roughly half of the visits are from secondary school students who come to the library occasionally in search of material to study, there are several young primary school students who regularly visit to read childrens’ books. In August Herieth (Grade 3), Allan, (Grade 2), and Samuel (Grade 2) visited the library 24, 22, and 18 times respectively. By partnering with MACOBICA to start and operate the library these children now have access to a far wider of selection of books to read than would have been available otherwise, and thus can develop the love of reading that will assist them as they continue their education. Here is a link to the article. Ceasar Zimangi Ujika on Free Secondary Education? © 2009 - 2019 TETEA Inc. a 501(c)(3) non-profit. All rights reserved.